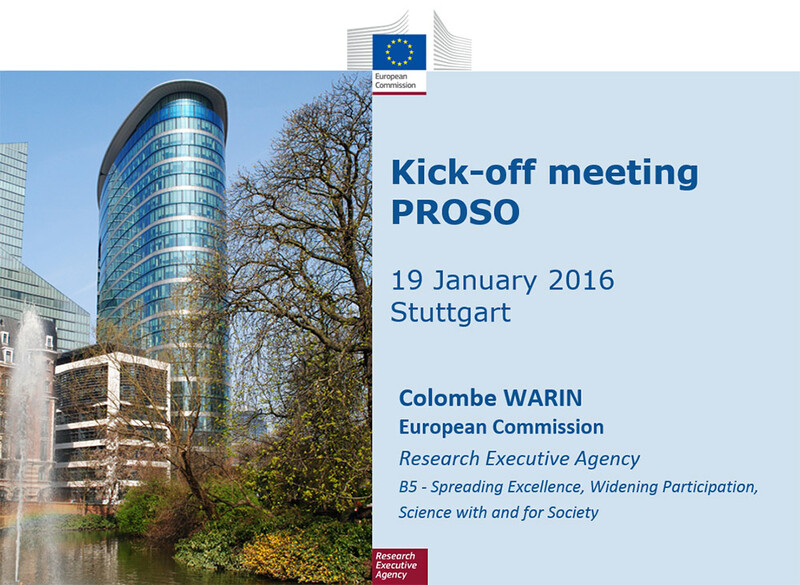 The PROSO partners and the PROSO Advisory Panel members met for the kick-off meeting of the project which was supported by Ms Colombe Warin, PROSO’s project adviser of the European Commission. Rainer Kuhn of DIALOGIK was invited as guest speaker and provided insights of the Horizon 2020 project ENGAGE2020. He spoke about “Current practice of policies and activities supporting engagement in research – trends, needs, barriers”.